What Makes a Tattoo Hurt More than Others? When getting a tattoo, the sterilized needles push the ink through two layers of skin, the dermis, and the epidermis, entering your skin several thousand times a minute. The discomfort will depend on each person’s pain threshold, the area being tattooed, and the mental state. Keeping your nerves in check will help to get through it with only a bit of discomfort instead of intense pain. We rate our pain only by comparing it to other painful experiences we have felt before and remember, so if you’ve never been in severe pain, your perception of it, and the rating you give it are going to be higher. Some areas of the body are more sensitive to pain than others. Think about this: if you’re extremely ticklish in a particular zone, getting tattooed there is probably going to hurt a lot. Keep in mind that everyone has a different threshold for pain. In general, the fatty areas such as the arms, breasts, buttocks, and thighs hurt less than body parts that are thin and bony. Spots where the skin is much thinner or where there is significantly less underlying muscle mass – collar bones, ribs/sternum, your neck, spine, the foot, and of course, the head – are more likely to carry higher levels of pain and discomfort. When the tattooing process begins, little by little your skin becomes irritated. The longer the tattoo session takes, the longer your skin is taking the beating. 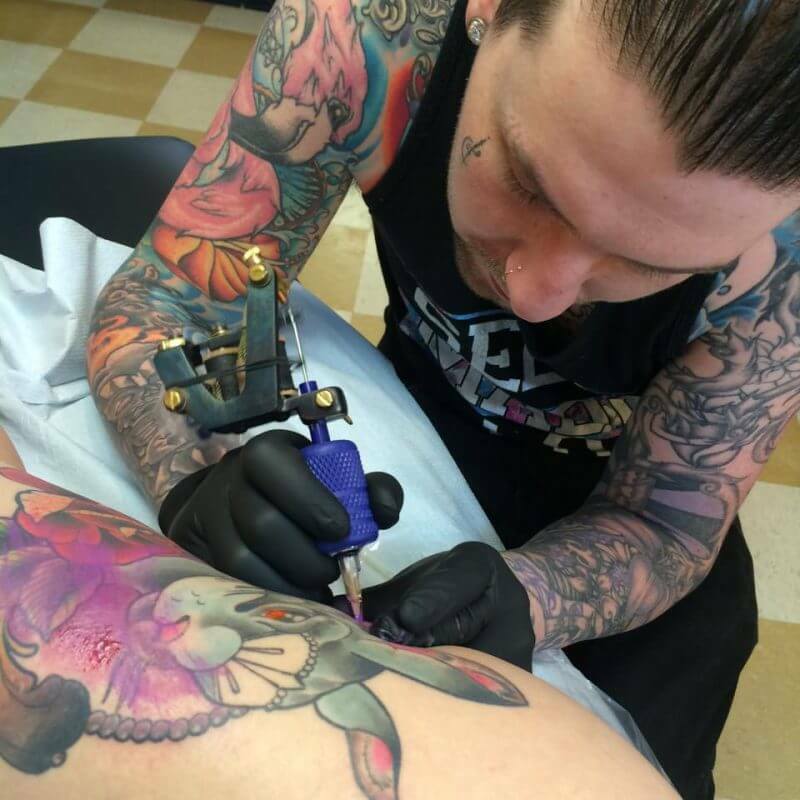 The larger the tattoo, the more discomfort that may be experienced, as bigger tattoos involve more needles, ink, and session time. Getting a tattoo after taking painkillers or while being drunk is definitely not recommended. Alcohol is a blood thinner; consequently, you will bleed more, and the ink won’t embed as easily. This will only make the artist work harder, the process to take longer, and the outcome lack-luster. Advil, Tylenol, coffee, and energy drinks have similar effects to alcohol. Wherever the body placement you select for your next tattoo, come to Mantra Tattoo & Body Piercing shop in Denver, Colorado. 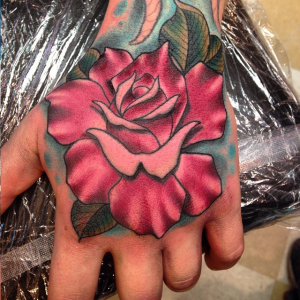 We have 9 experienced and professional tattoo artists who are ready to give you the tattoo you have been looking for! Please note that we are closed for Thanksgiving.